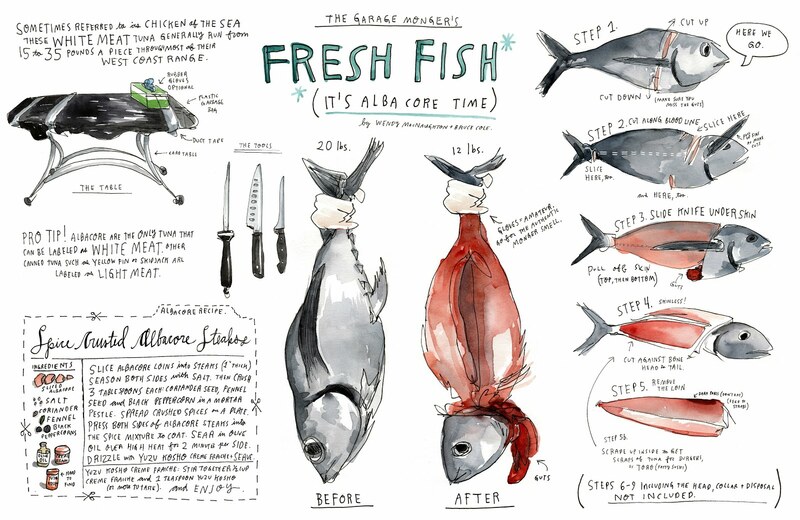 I drew "how to butcher a giant albacore tuna" for Edible SF magazine. (that's not really the title of the piece, but it might as well be.) I actually filleted the whole fish myself, and publisher Bruce Cole snapped photos as i did (when he wasn't laughing at my squeemishness). He posted this little behind the scenes glimpse on Edible SF's website. related: i have since become a vegetarian. Your work is damn good, I say! Damn good!